Captain (CPT) Timothy Moshier, 25, of Albany, New York, was born on April 17, 1980 and brought joy to everyone who knew him. An open-hearted friend, he always shared the concern of others. His devotion to God, family and country was the essence of CPT Mosier’s life. He was committed to excellence, especially through the concept of teamwork and worked at all things with a deep sense of gratitude and humility. 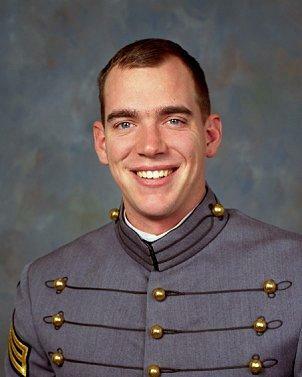 CPT Mosier was a 1998 graduate of Bethlehem Central High School and a 2002 graduate of the United States Military Academy at West Point, where he earned a Bachelor's degree in aeronautical engineering. CPT Mosier was stationed at Ft. Rucker, Alabama from 2002-2004. While there, he attended flight school and became a licensed aviator in the AH-64D, Apache Longbow helicopter. In 2004 CPT Mosier was stationed at Ft. Hood, Texas where he was assigned to 1st Squadron, 6th Cavalry as a platoon leader. In December 2005, he deployed to Iraq with 4th Battalion (Attack), 4th Aviation Regiment as the Assistant S3. On April 1, 2006 in Yusufiyah, Iraq, CPT Mosier and his co-pilot died when their Apache helicopter crashed while conducting a combat air patrol mission. A great storyteller with an infectious smile, CPT Mosier loved and incorporated humor into his journey. He also loved to read and enjoyed sports and adventure. CPT Mosier is survived by his wife and daughter who was only 10 months old at the time of his passing. His daughter is a Folds of Honor scholarship recipient.